While UK politicians argue among themselves, the European Union is threatening to restrict share-trading with the Alpine nation over stalled treaty talks. It’s a stark reminder of the limits of sovereignty – and of the EU’s readiness to use regulation as a political weapon. A Swiss flag is pictured in front of the Commercial and Financial District in Geneva, Switzerland, November 23, 2017. The Swiss government is set to decide on Dec. 7 how to handle a draft treaty on future ties with the European Union. Brussels has pressed Switzerland to agree a pact that would sit atop an existing patchwork of 120 bilateral agreements and require the Swiss to routinely adopt changes to EU single market rules. 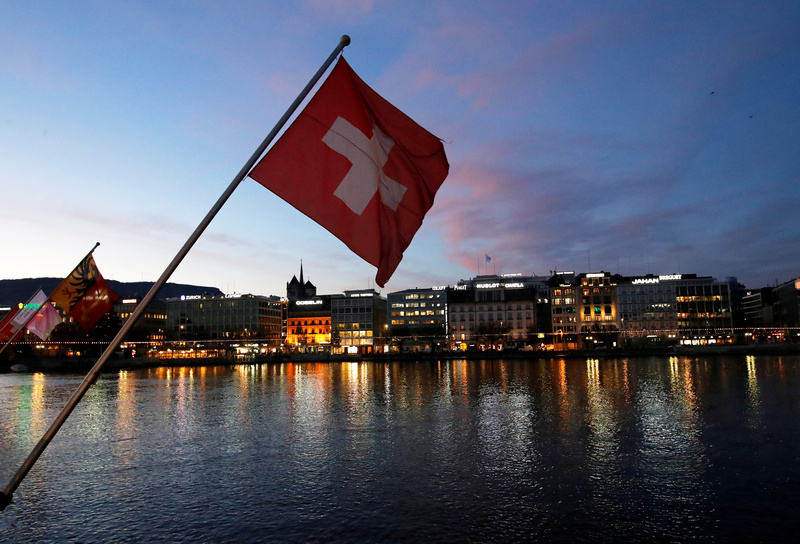 The Swiss government on Nov. 30 announced plans to ban trading of Swiss shares on EU stock exchanges from January. It was responding to EU threats to withdraw its recognition of Swiss stock market regulations that allow EU-based investors to trade in Switzerland. The European Commission will offer Swiss exchanges a two-year extension of their right to operate in the bloc if the Swiss government approves the overall deal, EU sources told Reuters on Dec. 6. Anti-immigration members of the Swiss People’s Party, the largest party in parliament, have pushed to end the ability of EU citizens to live and work freely in Switzerland. A referendum on the topic must be held as the required number of signatures has been gathered, though no date for the vote has been set.